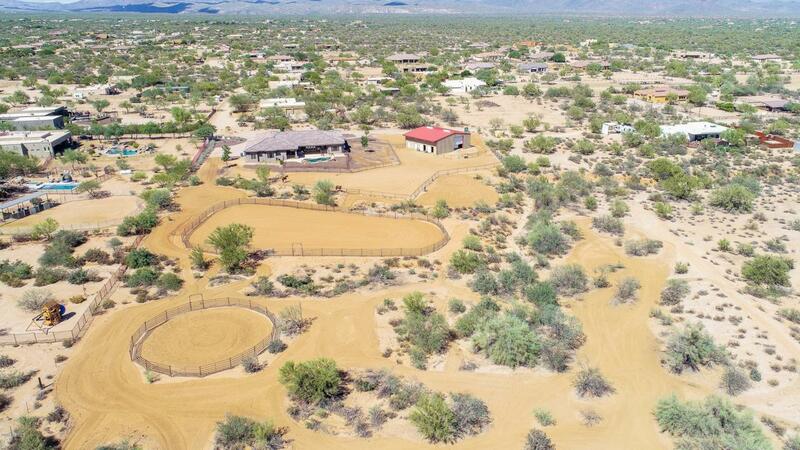 A true Horse Property w/ gorgeous mtn views on 4.7 Acres in Rio Verde Foothills w/ private well & plenty of room for multiple activities. 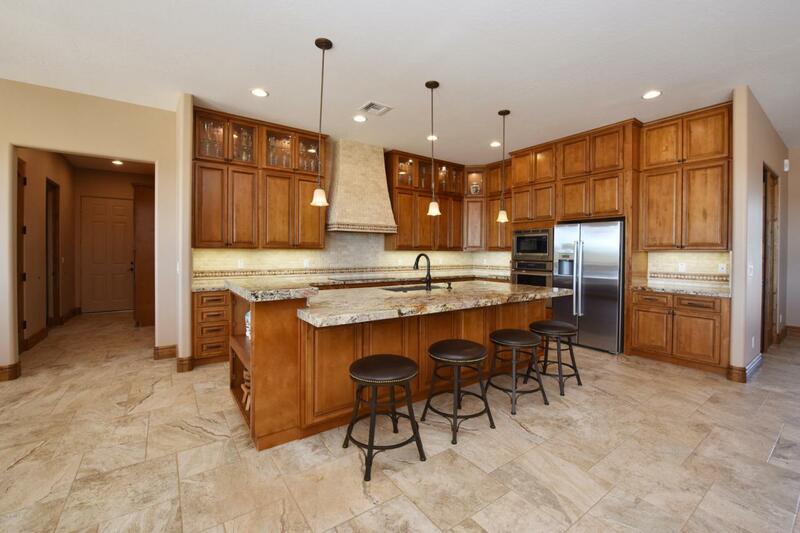 The 2014 impeccably built & maintained home features a spacious great rm w/ beautiful kitchen, custom cabinets w/ glass accents a large center island w/eat in seating, granite counters & s/s appliances. The private master suite has a spa like bath, large shower w/ granite walls, 2 vanities & walk in closet. 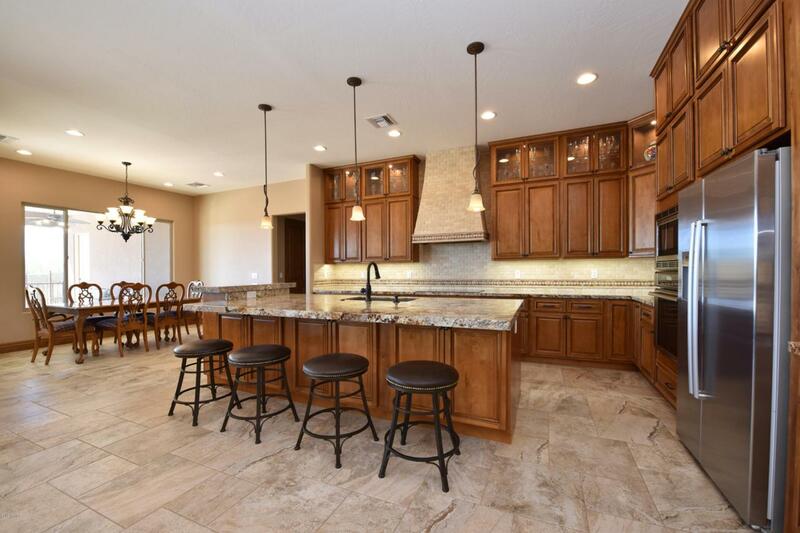 A desirable full guest wing w/ open kitchen/living area, 2 BR, 1 B, garage & access to the travertine back patio w/ salt water pool, 2 water falls & pool bath complete this home. 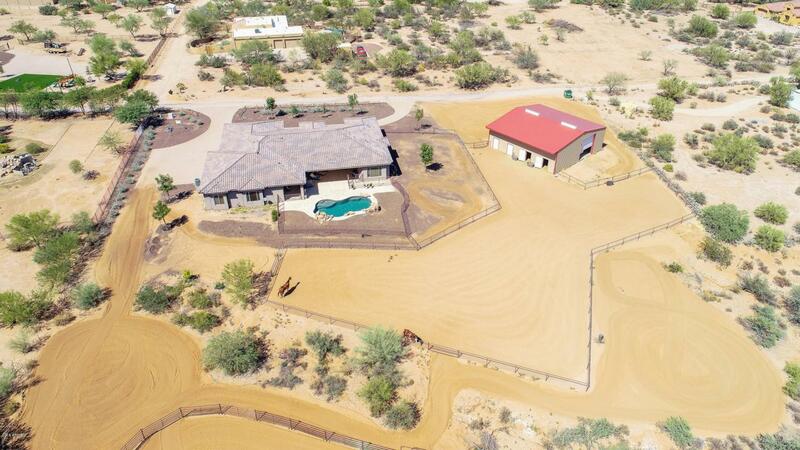 Fitted for equestrian use is a large 50'x50' barn w/drive thru RV doors, 2 stalls w/auto wtr & fly syst, tack, feed, RV storage, piped fence turnouts w/ 2 RV gates.